Scenario 1: “Carrying On” – In this scenario, the EU will focus on delivering on the Bratislava Declaration (2016). Scenario 2: “Nothing but the Single Market” – In this scenario, the EU will focus on the single market, while abandoning other policy areas in which no consensus can be reached. 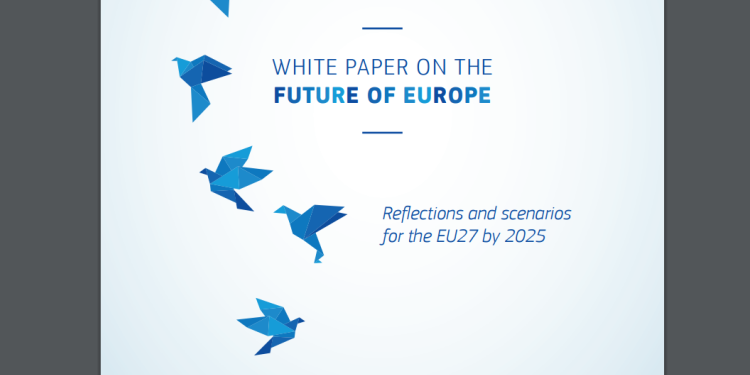 Scenario 3: “Those Who Want More Do More” – In this scenario, the EU will allow those member states who wish to collaborate more on specific policy areas to do so – “coalitions of the willing” will be formed. Scenario 4: “Doing Less More Efficiently” – In this scenario, the EU will focus on certain policy areas and make sure to deliver results faster. Other policy areas with little or no added value will no longer be dealt with. Scenario 5: “Doing Much More Together” – In this scenario, the member states will transfer more decision-making power to the European institutions, which will allow them to take decisions faster and implement policies more rapidly. EUROMIL will closely monitor the debate on the scenarios in the months to come and will make sure that the voice of European soldiers is being heard: We will continue to promote the fundamental freedoms and social rights of military personnel all over Europe!